With the New Year in tow, I decided to go for a challenging trek. I wanted to go on one since the longest time. Two of my cousins were going to join me, but couldn’t at the last moment. So I decided to go on my own. The Youth Hostels Association of India is a government body which is affiliated to the International Youth Hostels Organization; and has been conducting treks all over the world and in India since 1945. Their website was pretty neat and the first thing that struck me was that the programmes were very reasonable. The one I was looking at was just INR 5775/- for eight days (including meals and bed). I was told about YHAI by my friend and colleague Kirti hence I decided to simply go ahead and book it. The programme I booked was the National Himalayan Trekking Expedition 2016 Sandakphu-Gurdum. The base camp was at Darjeeling and then on there were five points in the trek. 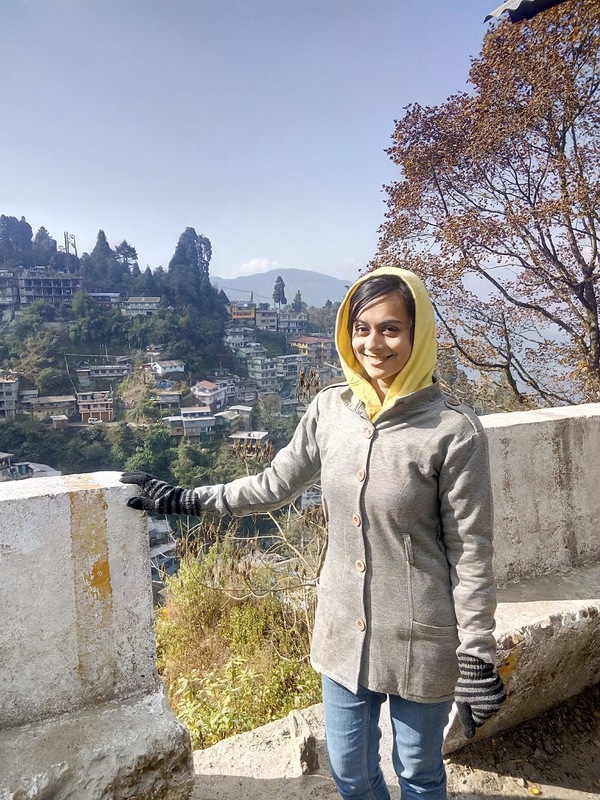 However, I spent two and a half days in Darjeeling as I couldn’t stop myself from staying at the charming hill station for a day more after my trek was over. 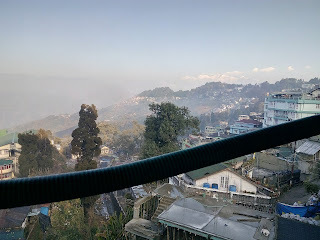 (The first day was before the trek – they keep one day for acclimatization) So I have decided to write three different blog posts for the trip- one about how I got to and stayed at Darjeeling before trek, other about my trek and the third one is Darjeeling after the trek. 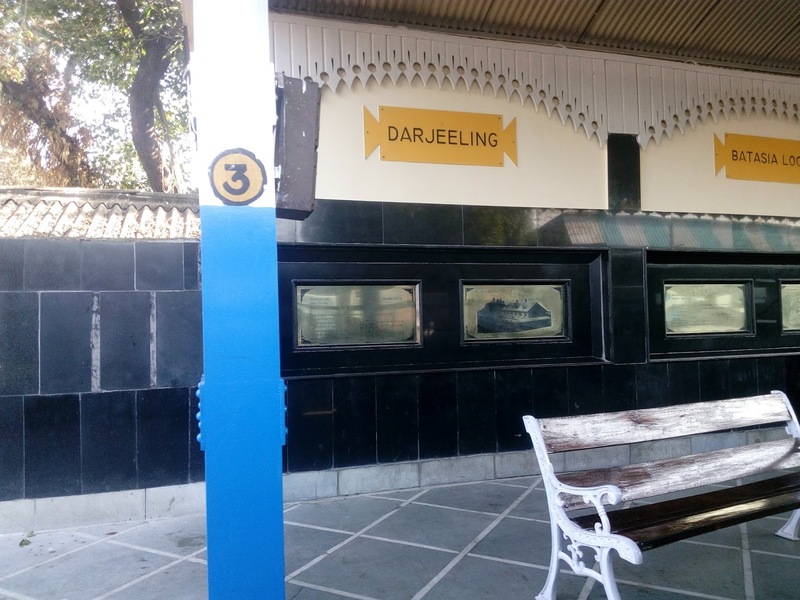 I had spoken to an agent and given him ₹1000 for booking my train to the station New Jalpaiguri, (nearest to Darjeeling, then you take the famous toy train to Darjeeling) which he couldn’t book! He met me the day before I was supposed to leave and returned the money. The next day I reached the station and got the general coach ticket and got in the train. The Guwahati Express was exceptionally crowded. 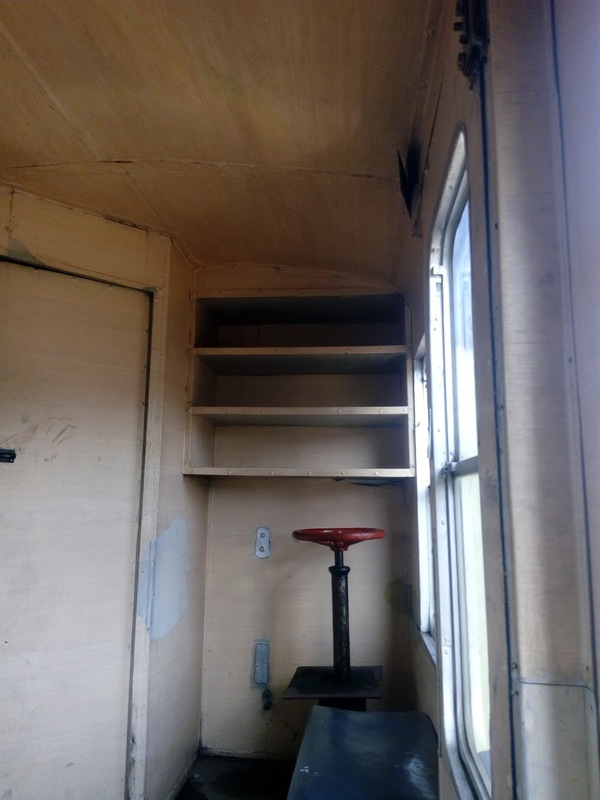 I had stepped into the Pantry car, where I met the TT, who took the remaining money from me and made me a sleeper class ticket. Though it was a 42 hour long journey, it went pretty smoothly. I passed by Madhya Pradesh, Uttar Pradesh, Bihar and then reached West Bengal. The TT was a very nice middle aged man who chit chatted with me till he got down at his stop after two hours. He gave me the seat reserved for TT’s, as there was no other place. He was mad at me before but he was also dazzled to see my determination (who wouldn’t be ya, I did crazy! 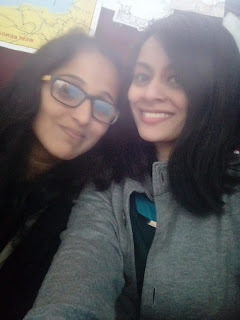 ), hence helped me out :P It was all quite filmy. I reached NJP around one in the night. I had always wanted to sleep at the station once in my lifetime and I did just that as I had to catch the toy train to Darjeeling around eight the next morning. I bought a twenty rupee plastic sheet, which a hawker was selling and laid down on it in the ladies lounge at NJP. I slept around 3 AM and was woken up by screaming women in two hours or so who said that there was an earthquake. I woke up but was really tired and hence drifted off to sleep as I was afraid I might die due to lack of sleep if not the earthquake. The next morning when I woke up, I realised that the earthquake which I had slept off was a massive one – 6.7 magnitude. (Welcome to North East!) Imphal, Manipur, India -the epicentre; deaths and injuries were reported. I chose to be positive and go ahead with my trip never minding the shaky start. Had heard about the Himalaya growing taller, now experienced it. This guy, Saif Ali, was also going to NJP from Mumbai as it’s his hometown and was a great help. He works in a hotel owned by an actor in ‘Taarak Mehta ka Oolta chasma’, and hence was eager to know about me when I said the writer of the series happens to be my relative. The toy train ride was fun as I remembered the actor Saif Ali Khan now, singing ‘Yeh hawaaye gungunaaye, puche tu hai kahan’ in the movie Parineeta wherein he travels in this very toy train. I could relate to the other lines of that song, which is a chorus, sung by children, ‘Kasto majja he railaima, Ramaailo ukali oraali’ – Nepali lyrics – supposed to mean – what fun it is in the hills, as the train goes up and down. Amazing how the English made this super awesome toy train, the Darjeeling Himalayan Railway (DHR) which comfortably takes you all the way up to Darjeeling – at an elevation of 2,042.16 m.
You cross the Ghoom station, which is supposed to be the railway station built on the highest altitude in Asia. The Batasia loop is famous as the track spirals around over itself through a tunnel and over a hilltop. This is also known for the Batasia loop War Memorial. 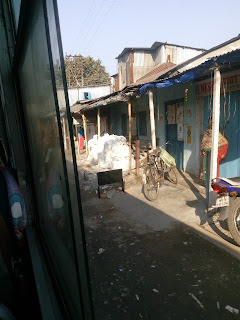 Besides these, you pass through small villages and pretty colourful residential houses. Cute kids wave at you as they see the chugging toy train. The train was a little jump away from their homes. 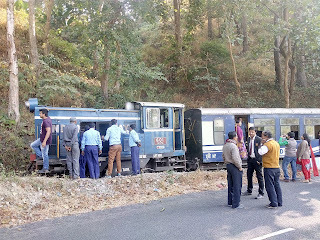 Astonishingly the toy train stopped midway while we were passing through the Mahanadi Wildlife Sanctuary, Sukna. I was told that this happens almost twice a week. They called the engineer who tried to fix the engine but couldn’t and the train was cancelled. I was really worried as I needed to report to the base camp in Darjeeling for my trek the same day. Moreover, I knew I would have to go back to Siliguri or NJP and get a sharing taxi to go to Darjeeling. 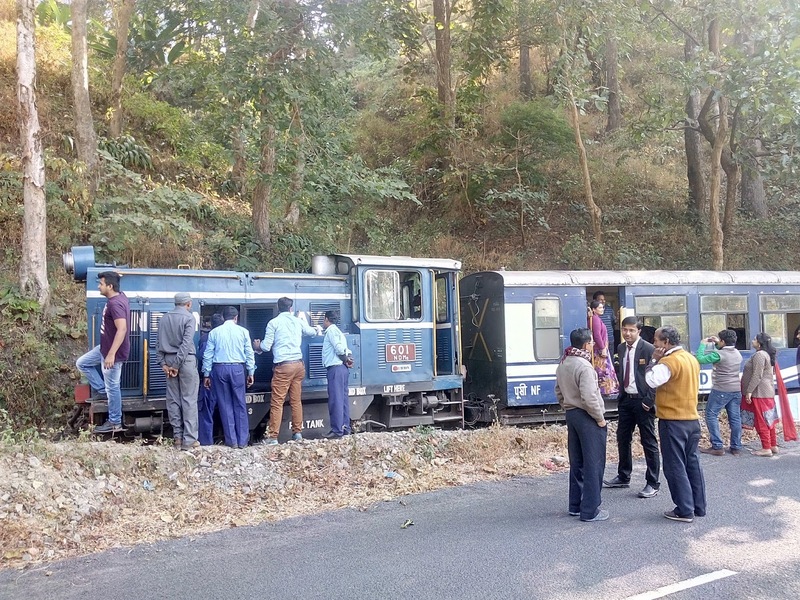 Luckily there was a group of awfully loud, chatter-some and unbelievably childlike group of guys in the train who were also headed to Darjeeling. 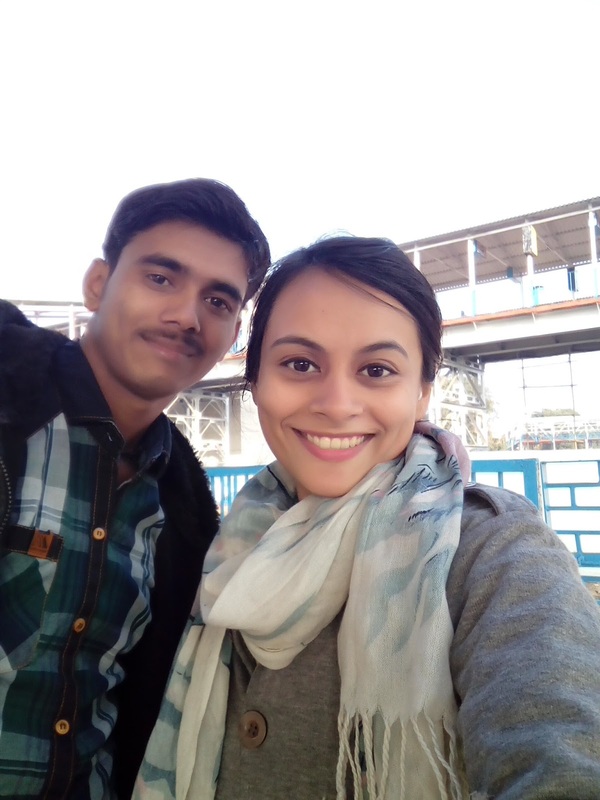 (I came to know as they were chatter-some and loud) Though I was really irritated of their loud banter in the train, they were my best bet. 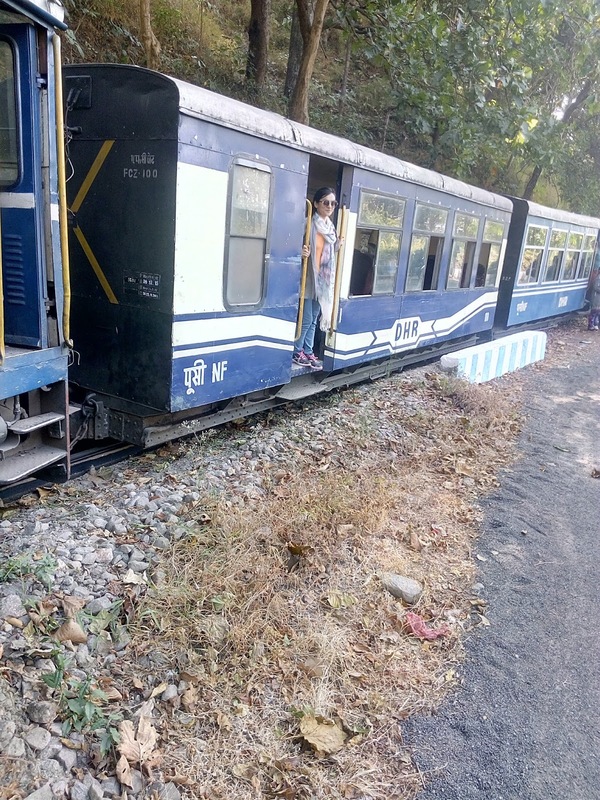 So we all boarded a sharing taxi – that’s the only way to get to Darjeeling if you can’t make it by train. 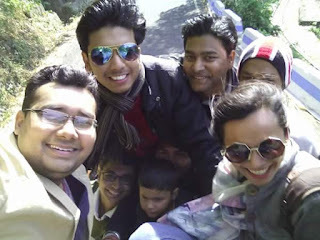 We got a lift in an open air jeep to Siliguri wherefrom we boarded the sharing taxi for Darjeeling. The ride in the open air jeep was super fun on the hills. We also had delicious Momos at this amazing little place called Rongtong. I came to know that most of these guys were CA’s! They were bright too! Amazing how we tend to be while holidaying with friends – one becomes a different person. It’s so important to holiday once in a while. 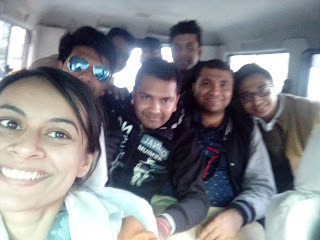 I mean, you have so much fun that people have difficulty believing you when you say you are a CA :) Nitesh, Sourav, Jaju, Lokesh, Gourav, Raunak, Ankit and Ankit are Marwari’s who live in Siliguri. No I haven’t made a typo; there were two Ankit’s. Before boarding the sharing taxi we all had a row as we all wanted to sit in the front as we were afraid of motion sickness. They were a nice group and I enjoyed the journey as they made fun of each other, revealing secrets to each other’s discomfort. My first impression melted away as fast as our taxi cab moved uphill; they were really kind, as they dropped me all the way up to my base camp. Though we shared the fare equally, it was a great help to have this cheerful group around. 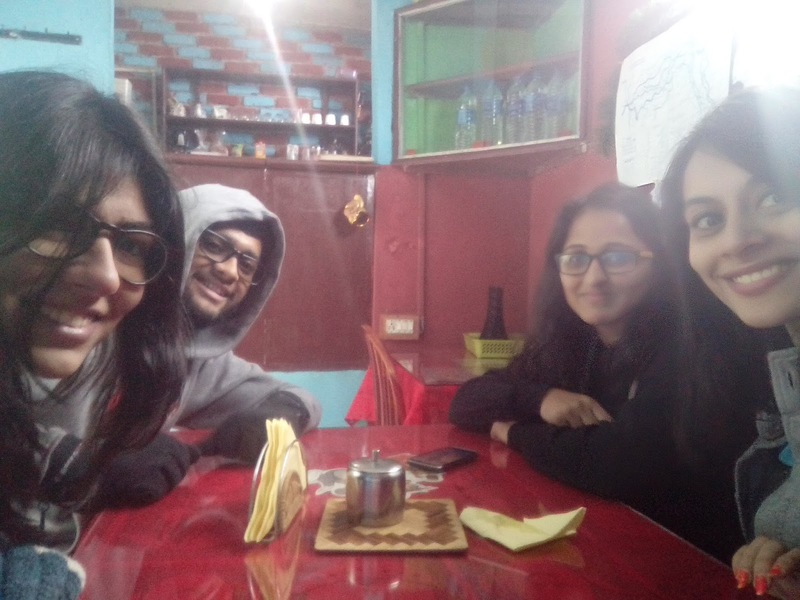 It was around 8 PM when I reached my base camp in Darjeeling. The Youth Hostel Darjeeling is in the hotel Kadambari. The group which checked in for the same trek a day before us had prepared some dances and songs for our orientation. The youth hostel believes in an environmental friendly camp fire, which means, we all met in the dining area and there was no fire and no wood burnt. We had dinner and heard the instructions for the trek from Mr Vinod Muley, who is also the Field Director of YHAI Darjeeling. I met two girls from Kolkakta – Rishika and Kritika who are studying law. They were the only girls in our batch (so far). We instantly hit it off as they were forthcoming and warm. 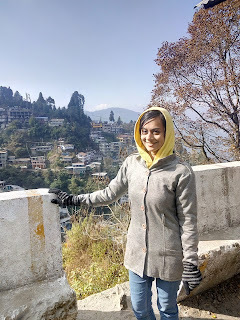 Rishika had been living alone and exploring Darjeeling for a week before our trek. The next morning we were woken up by shrill whistles for the morning warm up exercise. Actually, during the entire trek, we were woken up and called for our meals with a whistle. Military like. I did that kind of exercise after a long time. It was a very basic warm up for the impending trek the next day. We were served breakfast after the exercise which comprised of boiled eggs, jam, toast and butter with tea. Though we ate simple food, this one was special as we could see the mighty Kanchenjunga from the dining hall’s balcony. A mesmerising sight, it can’t be described in words. Nor can a picture ever capture the beauty of what the eye can perceive. 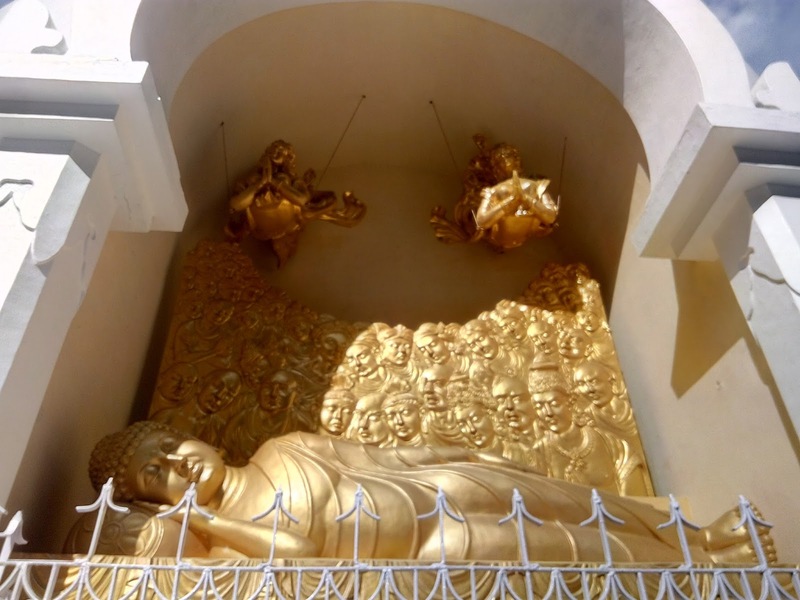 The bright rays of sun gleamed on the icy summits of ‘The Sleeping Buddha’ (as Kanchenjunga is reverently called), making up for a sight right out of a vintage postcard. I was all geared up for the trek as it promised more of such amazing views. We were asked to trek to a nearby hill atop which there is a Japanese temple and Peace Pagoda. It would give us an insight on how we were supposed to trek for the next five days. We went to this tourist sight as a group and felt very peaceful. We sat down and played a Duff with a stick to the tune of the Japanese mantra ‘Na-Mu-Myo-Ho-Ren-Ge-Kyo’. The priestess was an old woman who played the drum amazingly and guided us on how to chant and play the Duff. This mantra is supposed to help us get complete spiritual awakening. 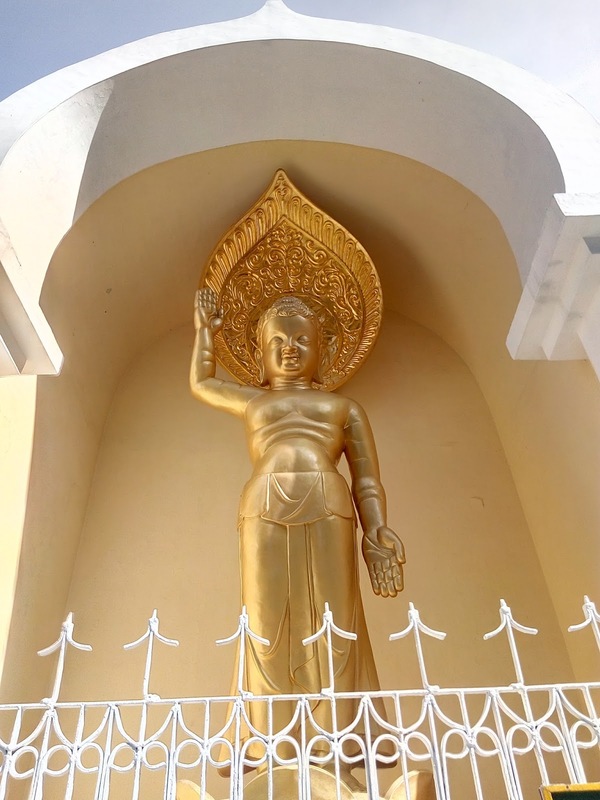 Beside it is the Peace Pagoda where there are four large idols depicting avatars of Lord Buddha. Once back at the base camp, I was told I needed to submit a medical certificate, without which they couldn’t allow me to go on the trek. I knew this actually as I even had a printed copy of the certificate that needed to be filled, but I had forgotten to visit a doctor. I also needed a few other things for the trek. I managed to have a bath as we were told we won’t be able to for the next five days. 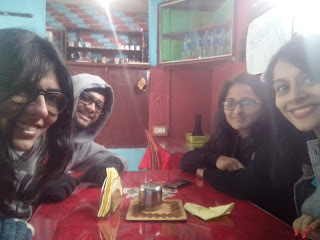 Me, Kritika, Vishnu and Rishika went to this place called ‘Tom and Jerry’ for breakfast. It was around 2 PM but all four of us are breakfast-lovers. We had delicious omelettes, hash browns, bread, jam, butter, grilled tomatoes, coffee and hot chocolate. Soon after, I went on my own looking around - to get a few things I needed for the trek and also to find a doctor. I walked through the famous Mall road and the Chowrasta. I spoke to a local and found out that the Senchel water reservoir, at a height 2488 m, has been contrived for the water-supply to Darjeeling town; I was curious about the water supply in Darjeeling. The shops were adorned with colourful woollen wear, caps, shawls, boots, mufflers and sweaters. The women are beautiful and their makeup even more so. Their eyeliner is as neat as the perfect slant of the hills and roads around and lipsticks as colourful as the wide-ranging flowers. While half of them had a natural blush on their cheeks, the other half had applied pink blush. They love colour! In spite of the cold, they wear colourful jackets and fancy boots, managing to keep the fashion meter as high as the altitude. Men are fashionable too, they have extravagant hairstyles and colour their hair in remarkable hues. It gets dark as early as 5 PM and I realised I needed to find a doctor soon for my medical certificate. I asked around and they told me to go to this private hospital called Planters. 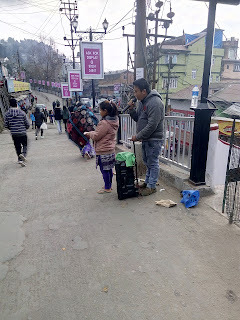 Now everything in Darjeeling is on a hill. Even the hospitals. So I started my trek to the hospital. I caught my breath as I reached the lobby, and asked the woman at the reception that I needed to see a doctor for a medical certificate. She said they don’t give medical certificates as theirs is a private hospital. She was kind enough to let me know of another hospital where I might get the certificate, which was of course, on another hill. I did some Google search to verify what she had said and found some hospital names. There is one Paramount Hospital in Darjeeling; it’s a Neuro Ortho and Trauma Centre –paramount sounds like a trek point, as if the patients are encouraged to climb the peak to get themselves cured. Not the emergency cases, but imagine an old woman with pain in her knees climbing a hill to see her Orthopaedic. So ya, if you want to live in Darjeeling, you need to be fit enough to do that. And on a very serious note, the locals there are. I was huffing and puffing when I reached the second hill. The second hospital I went to had a doctor who signed the medical certificate for me after a basic examination. I came back to the Youth Hostel and submitted my medical certificate. Five of us danced on a song for the next groups’ orientation. I sang a song too – ‘Have you got a sunshine smile’- more than anyone else, it was to motivate myself as I was a little nervous about the trek next day. A group from Solapur in Maharashtra also joined us and there were 27 of us in all. They announced that YHAI completed 1000 participants that day- a milestone reached; and we were given sweets.